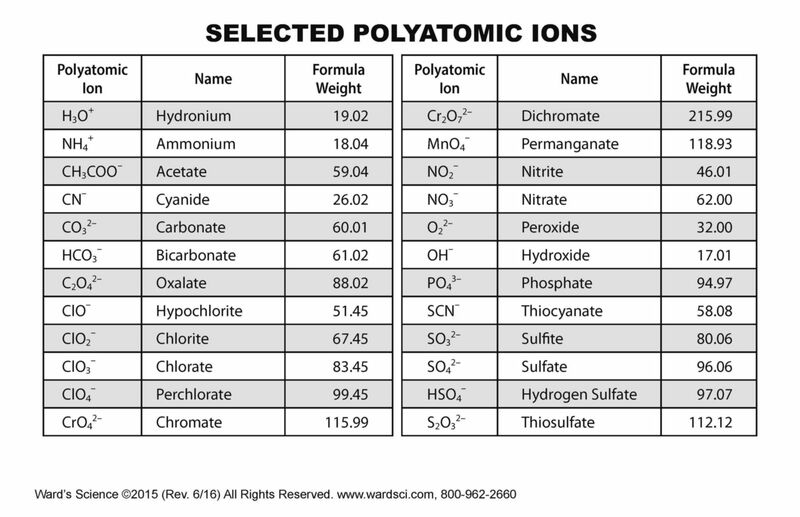 These posters come in a variety of sizes to meet your teaching needs. 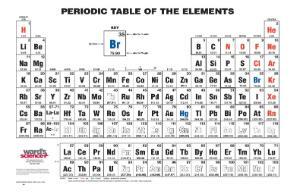 Ward's basic periodic tables contain the element symbol, atomic number, and atomic mass. 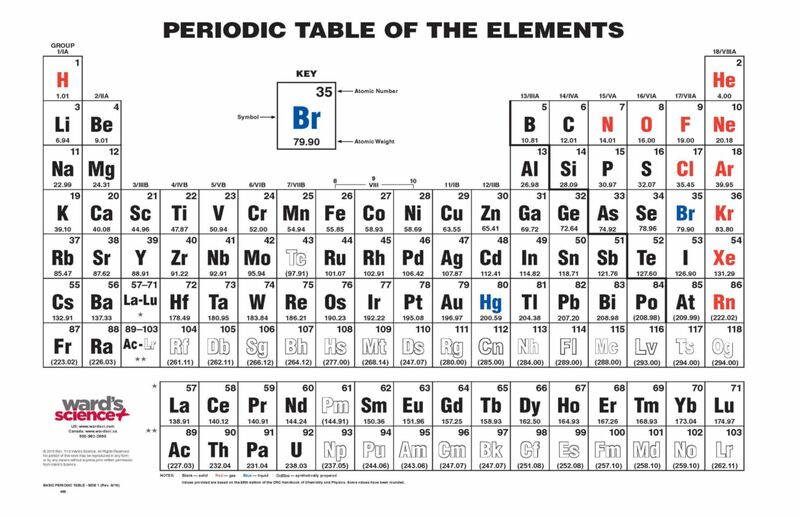 The bold type and three-color printing of this periodic table make the most important information stand out. Information updated December 2016. 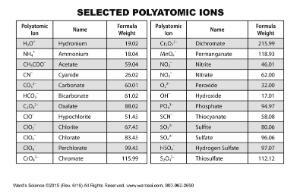 The back sides of the 8.5 x 11" and 11 x 17" editions display the most common polyatomic ions, their formula weights, and their elemental compositions. The larger format tables can easily be seen from anywhere in the classroom.